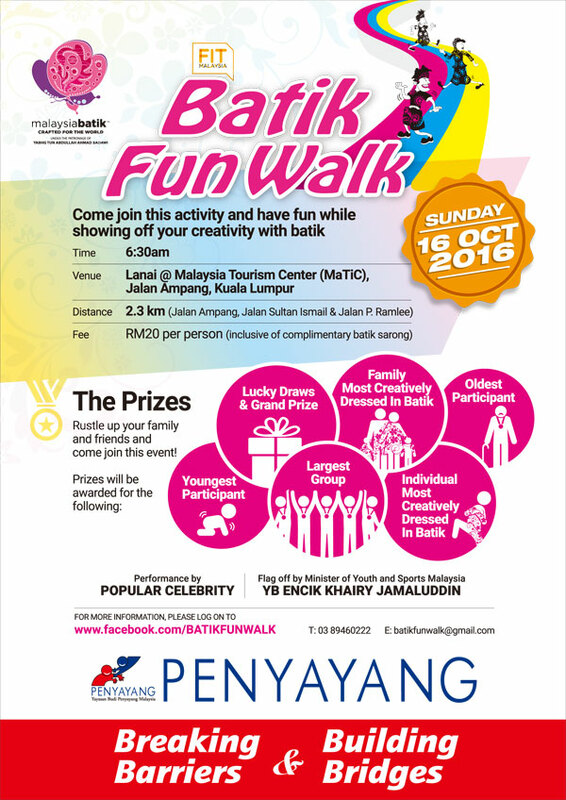 Yayasan Budi Penyayang Malaysia (PENYAYANG) is pleased to announce that the Batik Fun Walk 2016 will be held on Sunday, 16 October 2016 at 6:30am at Lanai, Malaysia Tourism Centre (MaTiC), Jalan Ampang, Kuala Lumpur. 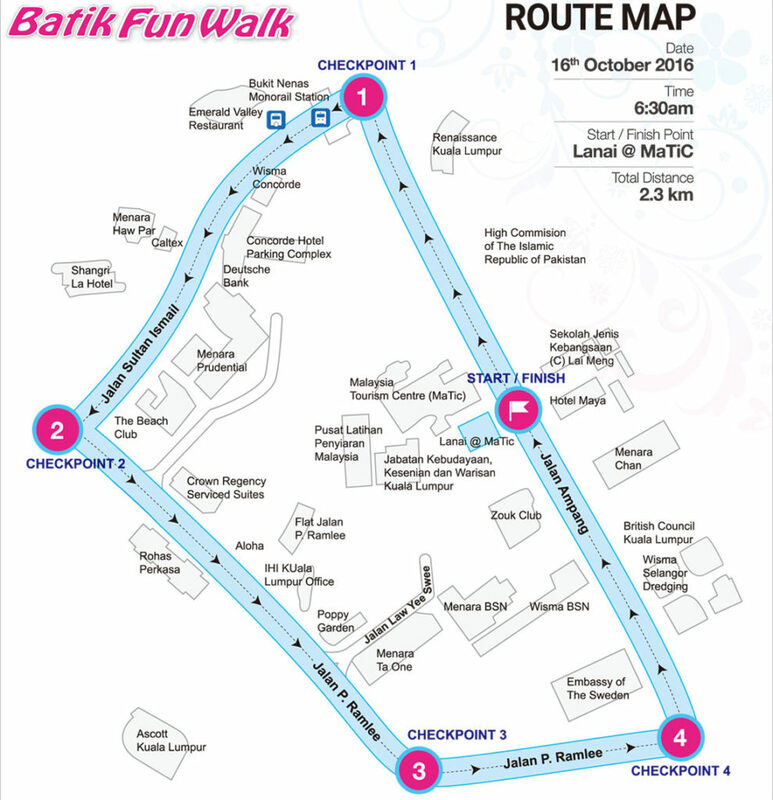 An annual event of the Malaysia Batik: Crafted for The World Movement, Batik Fun Walk in conjunction with the FIT Malaysia campaign by the Ministry of Youth and Sports is held to promote Batik as our National Heritage and fun walk for a fit lifestyle. Besides promoting fitness and recreational activities, it is our hope that the event will encourage more Malaysians to use batik in their daily wear. It will START and FINISH in Lanai, MaTiC. The route will take you down to Jalan Sultan Ismail, then right up to Jalan P. Ramlee and back to Jalan Ampang.